During the summer, there are several different cruises, one for younger League Cadets, a cruise for guys and a cruise for girls. The girls really got to experience some water survival techniques first hand with SSGT Miller from the Wisconsin Air National Guard at USCG Station Milwaukee. 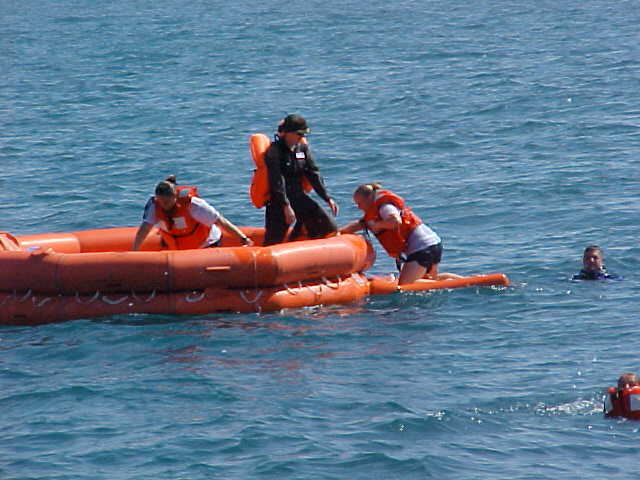 Learning how to survive in the water is an important part of becoming a sailor. SSGT Miller assists cadets boarding the raft.